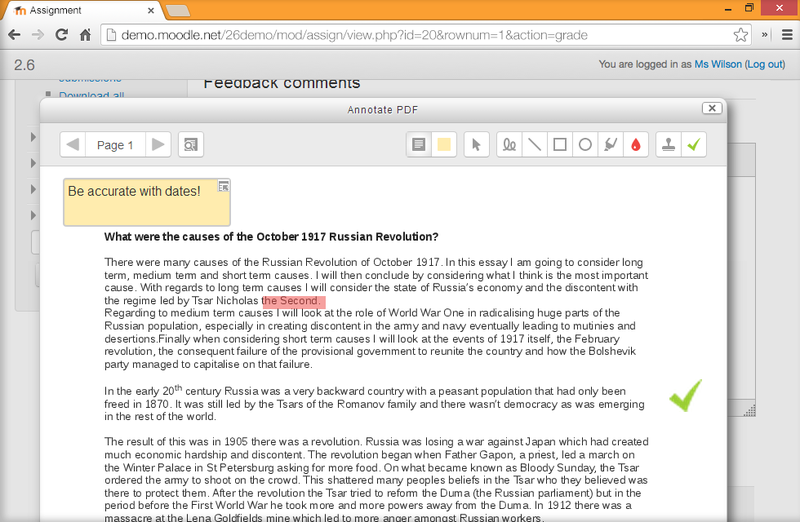 Moodle in English: Annotate PDF 2.6 does not show all of an assignment in Landscape, only Portrait cutting off Right Third. Annotate PDF 2.6 does show all of assignment in Landscape, portrait only cutting off right third of the document. Any ideas how to see the rest of the pdf file. Re: Annotate PDF 2.6 does not show all of an assignment in Landscape, only Portrait cutting off Right Third. Are there side block cutting off the fight side? If yes, does docking them make a difference? It does cut off the Right Side, what do you mean by side block and docking? There are no side blocks/docking options. the Annotate PDF window is locked into Portrait.